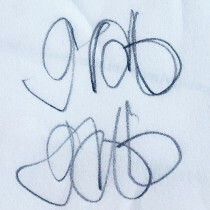 gab, a social arts practice that collaborates on creative processes. It combines art, advocacy, education and research to create projects driven by the need for social justice. We support people in addressing existing interests / issues / ideas, and with them structure original programs to explore their endeavours. gab generates social, playful, informal, educational spaces; offering different processes, outcomes, events and relationships to be formed. It does not subscribe to a ‘how to create’ ethos- it is less of a indoctrinated programme, not occupying a position of pedagogical or creative mastery but more an equal position of exchange and collaboration so people can educate and create something themselves. For gab conversation is an integral part of our work. It is an active, generative process that can help us speak and imagine beyond the limits of fixed identities and official discourse; opening a locus of differing meanings, interpretations and points of view. It is through this discursive framework which the various participants can exchange insights, observations and establish discoveries. Darcey Williamson; has a anthropology and fine art background with good knowledge and experience of facilitating creative environments, specialising in participatory based artistic practices. Experience working on sustainable art projects, with disenfranchised groups and vulnerable people including SEN children and adults. Also separately involved in a number of discursive community projects in London. Elly Rendall; has extensive experience working with children in alternative education workshops and in schools, orchestrating programmes for a variety of educational needs. A background of working with charities on large outdoor art exhibitions, and other events. Currently specialising in SEN education through gab and looking for new ways to impart knowledge using innovative learning methods in stimulating environments. Also separately involved with other organisations that promote connecting children with nature.